Breaking News: The Federal Bureau of Investigations recently released an alert to all Americans who may use an Internet connected router in their homes and businesses. The Internet Crime Complaint Center sent a rare Public Service Announcement declaring, "Foreign Cyber Actors have compromised hundreds of thousands of home and office routers and other networked devices worldwide." A great many security products today are using router connected protocols to connect those devices to internal residential and commercial networks. Many of these products including (but not limited to) alarm systems, closed circuit television cameras (CCTV), door locks, intercom systems and door bells etc, are often connected to WiFi routers in your home or office. The nature of today's consumer marketplace appears to be fascinated by the growing Internet of Things (IoT) products that enable many of us to enjoy modern "connected" services that protect us, make our lives easier and keep us in communication range with each other. 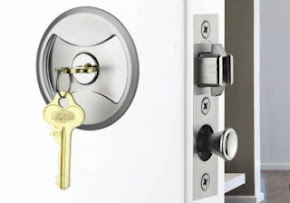 The locksmith industry worldwide continues to evolve and many locksmiths today are busy recommending and installing modern "connected" security products, meeting the increasing demands of the marketplace. Some of these "new generation" products are very good quality and often expensive too. Maintaining the security of your home and business is of paramount importance to protecting our families and our colleagues, aside from our customers. According to the FBI, hackers are using VPNFilter Malware to target small office and home office routers saying, "VPN Filter is able to render small office and home office routers, inoperable" and are warning, "The malware can potentially also collect information passing through the router. 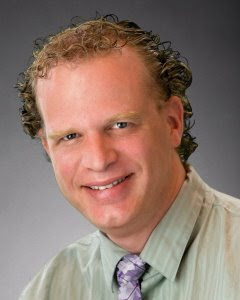 Detection and analysis of the malware's network activity, is complicated by it's use of encryption.". The FBI recommends, "any owners of small office and home office routers, reboot the devices to temporarily disrupt the malware and aid the potential identification of infected devices". They also advise to consider disabling remote management settings on devices, use encryption and choose new and different passwords. 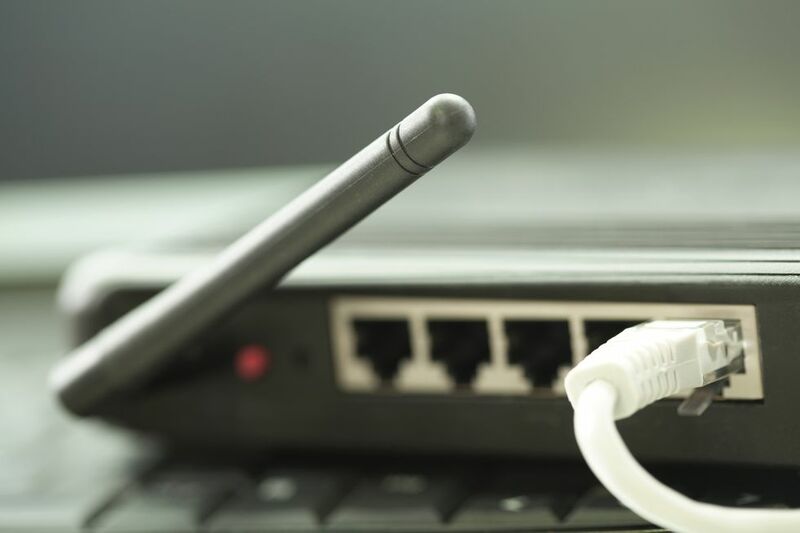 With the increasing number of "connected devices" in the wider market, security of your home, office and other connected products are potentially gravely affected by this new hack. We suggest that all our customers and anyone using or relying on Internet Connected devices, including your door locks, your CCTV systems, your alarm systems and your door bells or intercoms, to immediately perform a soft reset of your WiFi routers. This action will temporarily mitigate the malware's operation. It may not completely remove the malware from an infected router and if you are further concerned, we suggest you perform a factory hard reset of the router. We have been writing about security issues with IoT devices, in increasing articles in the last 12 months. 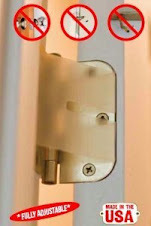 AirB&B - Lockstate WiFi Door Locks Bricked By Manufacturer Update. Pictured here is a typical example of a modern day key fob for a vehicle. This particular fob is for a Ford brand of vehicle. 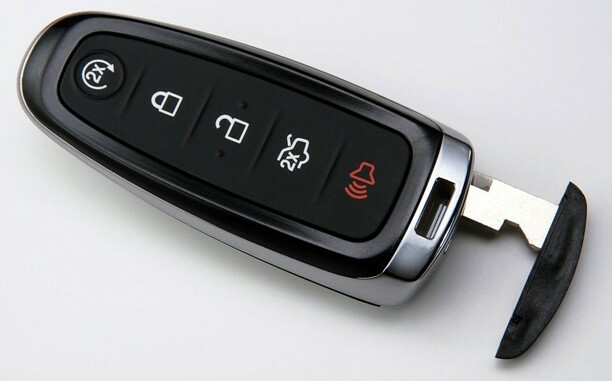 An article in the New York Times (see the source below) talks about the commonplace issue of modern day vehicles, that use key fobs as opposed to the old ignition keys, we all previously had to use, where the ignition systems on vehicles are inadvertently left running, even after a homeowner has parked their vehicle inside their garage. Today there are about 17 million vehicles on the road in America, about half of which use some version of a key fob to operate the vehicle ignition system. This system was designed (in part) to increase the security of vehicles and provide convenient and simple to use access control. But perhaps the inventors of this technology did not account for the issues that have surfaced. Specifically, that many ignition systems are being left on by accident. Because many of these key fobs, only require to be within a certain proximity of the vehicle to operate, a number of people are failing to adequately switch off their ignitions, resulting in carbon-monoxide poisonings. Vehicles are often left inside a closed garage and with the great number of quiet engines today, people may not be hearing their engines running. According to the New York Times article titled, "Deadly Convenience: Keyless Cars And Their Carbon Monoxide Toll", 'more than two dozen people have been killed by carbon monoxide since 2006 and dozens of others have been injured, some with brain damage, after keyless ignition vehiles were inadvertently left running inside garages'. According to the article, Toyota vehicles including Lexus have featured in about half of the carbon monoxide fatalities and injuries. Many modern day Toyota vehicles run a lot quieter today than in previous years and this is proving to be a concern for many elder people who may drive those brands of vehicles. The article goes on to discuss lawmakers approaches to countering the problem and discussions by safety boards, but no legislation has been enacted to force vehicle manufacturers to comply, at this time. Some manufacturers have added safety features like timed cutoff's and warning buzzers in later model vehicles, but many of the older vehicles are subject to this flaw that could be a matter of life and death. The article (in the source below) makes some interesting reading. You remember Ring, dont you? Amazon recently completed their buyout of Ring, to meld it into their Amazon Key program network. We first talked about Ring in an article in June 2015. The system is very smart and not bad looking however it is a flawed piece of technology that could be more of a security problem than a benefit. Then there is the lawsuit against Ring (before the Amazon buyout) by Skybell, the original patent holder of many of the technologies that Ring is built upon. We also wrote about this in an article in January 2018. I'm sure Amazon were not prepared for the headaches they have acquired. But the Ring management are no doubt smiling all the way to the bank. Perhaps the many customers who purchased the product were just not aware of it's shortcomings as discussed in the video above. Not just that, but burglars are actually being pictured stealing Ring doorbells from houses. And people still want to allow Amazon to be able to access your home with their Amazon Key program? We have been extolling the virtues of this world leading company for many years now and as the new summer swimming season beckons in the northern hemisphere, we continue to sing the praises of the leading life safety products that D&D Technologies produce. This fine example of Australian Ingenuity, continues to impress the entire world with it's superbly constructed and high quality range of locks, hinges and alarms. D&D incorporated high security key cylinders into many of their range of products to satisfy the growing commercial market and the desire to include these fabulous locking products in high-security restricted key systems like (but not limited to) our fabulous Bilock Extreme Security Keying Systems. 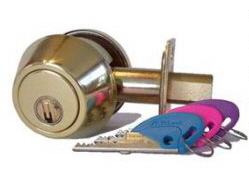 Bilock are another Australian designed high-security products manufacturer that have been around since the 1970's. We have been working with Bilock products for almost our entire career in the locksmith trade (now approaching 35 years). We continue to be one of the largest Bilock dealers in the Midwest of the USA, still representing the product since we first kicked off operations here in 2006. We have been called periodically by customers across our geographical region to offer services and key duplication or origination for some of the D&D Technologies products, specifically their Magnalatch product and a number of their Lokklatch products. Our ability to include these gate locks in our Bilock systems only increases the security of the applications. D&D Technologies products are recommended by many AHJ's (Authorities Having Jurisdiction), life safety officers, local government building inspectors around this country and the whole world. They are not just beautiful in their design, but simply installed and very easily operated. We have been selling their products for many years in Australia and now here in the USA.